While the U.S. women are all considered podium contenders, the U.S. men are heading into the 2016 Rio Olympics completely under the radar. 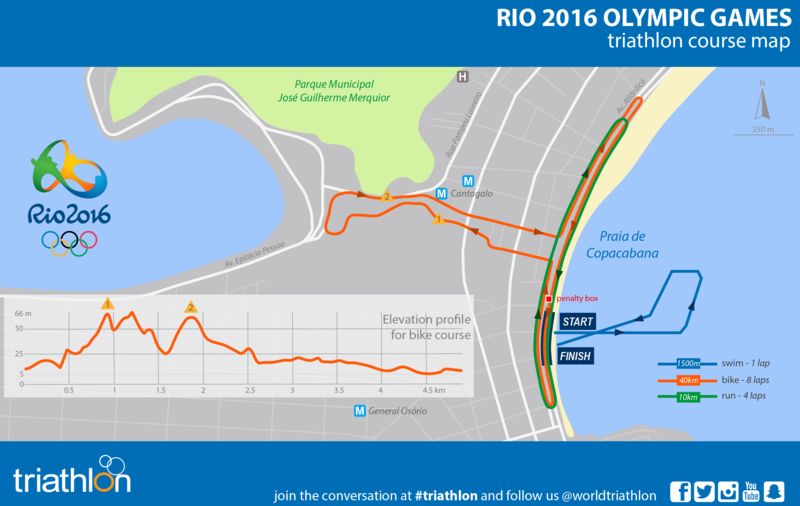 The good news for them, and for American triathlon fans, is that the Rio Olympic bike course is tougher the one showcased at the 2012 London Olympics. While London’s course was flat, each of Rio’s eight cycling laps feature two climbs of about half a kilometer each that could break up the field and create anything-can-happen race scenarios—including the rise of athletes not currently favored for the podium. Greg Billington and Joe Maloy each earned top 20 finishes at the Rio test event last year and will be looking to move up the results list at the Olympic competition this Thursday. Meanwhile, team member Ben Kanute is known for his risk-it-all style of racing (he led off of the bike at last year’s WTS Grand Final in Chicago) and has likely gained some confidence as a member of last month’s ITU Mixed Relay World Championship team. You’ve raced on this course before, last summer. What makes it challenging for you personally, and how does it play to your strengths? Any course, when you go to the Olympics, it’s going to end up being an extremely hard, extremely challenging race. The fact that there is an incredible climb that we do eight times and a really steep, technical descent, really choppy water, and a hot, hard run just adds to that excitement. For me, it’s a swim, bike, run. It’s what I do every day, so I’m just excited to get out there and see what is the best I can do. I’ve been training for this – I mean, I started triathlon 10 years ago, and this is the pinnacle of that, so I’m excited to go out and race a bunch of people. How this course plays to my weaknesses, that’s up for my competitors to figure out, so I won’t answer that one. In terms of my strengths, to tell you the truth, I just really like Rio. I enjoy it here. I enjoy the vibes, I enjoy the atmosphere, the people, the culture, and I plan on soaking all that in and feeding off a little bit of that Olympic energy. It’s an Olympic Games, so no matter what course you’re on it’s going to be very challenging, very fast the entire time. This course is pretty unique with a one-loop ocean swim, a steep, hilly bike, and it’s a hot, fast run at the end. I’m just excited to go out there and see what I can do.